This regional metal supplier operating in multiple states in a tight low margin market. 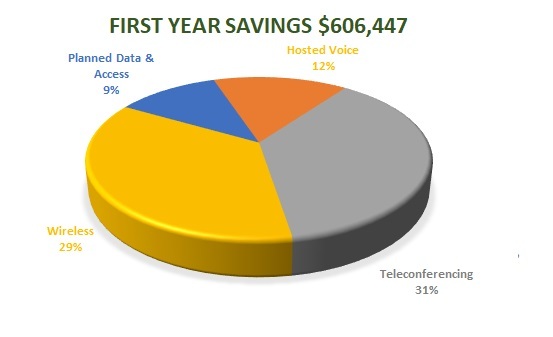 The client had multiple providers, expired or expiring contracts in both wired and wireless communications. A company in a technology transition the initial goal was to free up monthly spend and dedicate those savings to critical migration projects. After completion of the initial review, four categories were identified that would produce satisfactory results in the shortest time frame based on the status and timing of current contracts and network inventory. The need to generate lower costs as quickly as possible was the top motivator for the procurement strategy approved by the executive management. Due to the state of the contract inventory, NSA offered two approaches to initiate a response from the incumbent suppliers, and the client approved a right of first refusal. NSA completed an audit of the existing services and provided guidance to the incumbent suppliers with enhanced terms and conditions and a low commitment level in a short time frame. Without releasing a full RFP, the incumbent supplier provided short term rates with consolidated agreements which were acceptable to the client. The client/account team support was re-established. The new rates were applied and verified quickly. The client achieved the funding goal they required with the reduced monthly expenses for the network while establishing higher data speeds and preparing to take the entire network to market in the future. Based on the client’s net profit margin, the engagement results would require over $13M in new annual sales and more than $39M of new sales revenue over the term of the negotiated agreement. A regional metal supplier with over $3M annual spend across four communication categories with no desire to change incumbent suppliers. 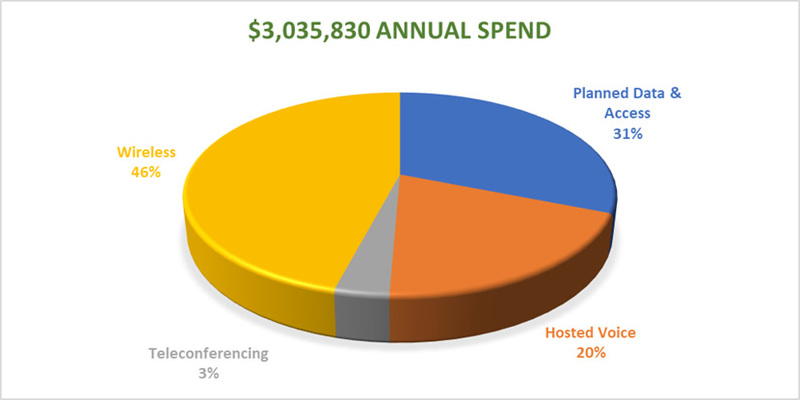 A market based first right of refusal negotiation resulted in savings across all four categories up to 31% representing over $600K in annual savings and an overall reduction of 20% in total annual network spend. Based on the client’s net profit margin, the engagement results would require over $13M in new annual sales and more than $39M of new sales revenue over the term of the negotiated agreement to produce $600K in net profits for the firm.